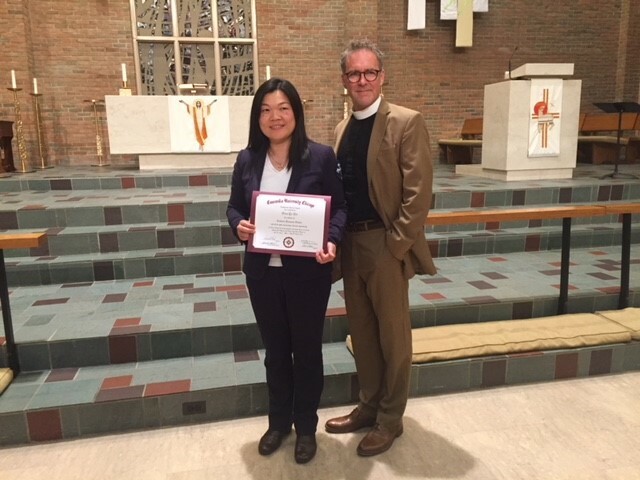 Congratulations to Deaconess Diana Rice on her graduation from Concordia University of Chicago. Diana Lee grew up in the city of Macau on the south China Coast. She was a student at Concordia School for Special Education, which was a Lutheran Deaf school until the year 2001, when it became a special education school. At Concordia, Diana learned of God’s Son Jesus Christ who came as a man to the world He had made, and died upon a cross to reconcile all sinners to Himself. Diana learned about her Savior at the school and was catechized and baptized at the local LCMS mission congregation. Currently Diana lives in Michigan and works for the Michigan District, based and supported Ephphatha Lutheran Mission Society for the Deaf. She also volunteers her time for projects with Lutheran Friends of the Deaf who 18 years ago made it possible for Diana to begin this long road toward serving Deaf people with the Gospel of Jesus Christ as a deaconess.